In August 2017, Hurricane Harvey hit Texas. EFCA ReachGlobal Crisis Response is in Texas and is working with EFCA churches. The mission of ReachGlobal is to show God’s love and compassion through hurricane relief and recovery, for the purpose of outreach, evangelism, and church planting. Their plan is to be assisting Texas in rebuilding (physically, emotionally, spiritually) for long-term impact. 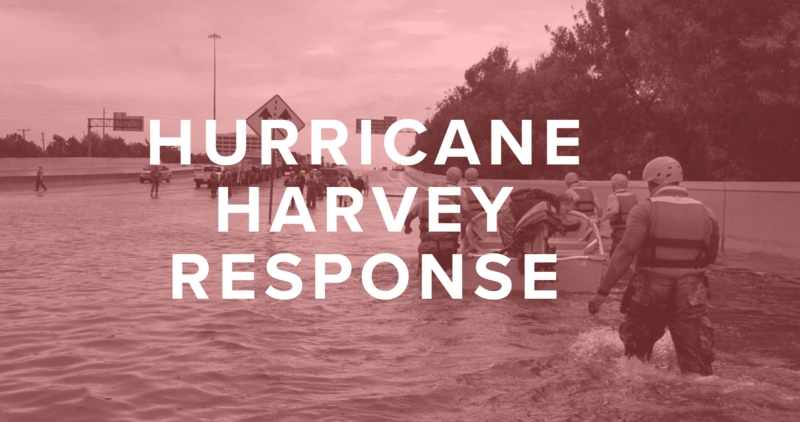 We will meet Crisis Response staff and home owners and serve for two days in Houston. We hope that after being in Houston on this vision trip, you will be motivated to bring a team from your church to serve in Houston in the future. Come and join with us in this life impacting event. WHO: 15-18 NCD Pastors & Church Leaders from various EFCA churches in Minnesota, who want to go on this vision trip to pray and serve the people of Houston, Texas. We are looking for people who will be motivated to bring teams to Houston in 2019-2020. WHERE: We will visit and serve for two days in Friendswood, TX and at The Grove in Houston. COST: $500-$625 per person. These costs include two nights lodging and breakfast/supper at The Grove; airfare from Minneapolis to/from Houston, TX; lunch each day; transportation in Houston; and our final night will be at a hotel near George Bush International airport. Reservations will be made once we know the size of our team. The approximate cost is based on current prices with different airlines. TEAM LEADER: Steve Austvold (steve.austvold@ncdefca.org); 218-736-4412. REGISTRATION DEADLINE: July 6th, 2018. You will need to commit to going by this date. To register please contact Steve Austvold. WHAT IS NEEDED RIGHT NOW? Pray about going on this vision trip to Houston. Sign-up!